Glam up your Kids Bedroom furniture with these easy-to-apply Fretwork Panels! You will be amazed by the final results! 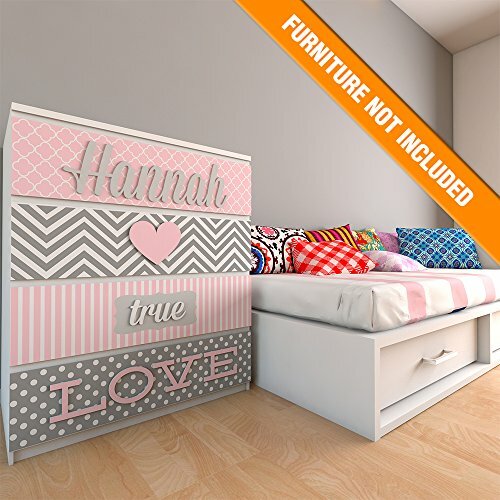 With our Furniture Overlays making Childrens Furniture look awesome and expensive is super easy! The opportunities are endless WE CUSTOMIZE DESIGNS AND DIMENSIONS!!! In this listing you may choose from 4 different Models or acquire All for a special price. PLEASE CHECK THE 2nd IMAGE FOR MODELS!!! WE CUSTOMIZE DESIGNS AND DIMENSIONS! The panels are pre-cut and can even be attached to mirrors, walls, and even glass! We will be happy to make your project come to life! Once your panels are delivered, sticking them on is pretty straightforward. Before applying to the surface must be clean and dry. Use your own choice of adhesive like wood glue or even a glue gun. You can also use heavy-duty double-sided tape for a temporary solution! If you have any questions about this product by Home Art Decor's shop, contact us by completing and submitting the form below. If you are looking for a specif part number, please include it with your message.